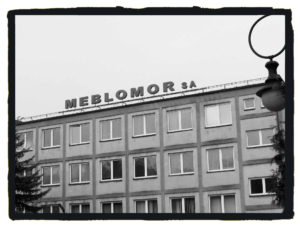 Meblomor – Fabryka Sprzętu Okrętowego Meblomor S.A.
Marine Equipment Factory MEBLOMOR S.A. had been started its activity in 1952 and seven years later began to produce the ship equipment. The long relationship with Polish and foreign shipyards allowed us to know specific of this industry in domain of designs, technical requirements, quality and delivery terms. Thanks to co-operation with designers, ship owners and shipping classification societies our goods comply with their requirements and rules of SOLAS 1974, MED 96/98/EC. For outside ship doors MEBLOMOR S.A. has the following certificates: DNV GL, Bureau Veritas, American Bureau of Shipping, Russian Maritime Register of Shipping, Polish Register of Shipping. We have certificate ISO 9001:2015 for quality management system. Our goods are sold to all Polish shipyards and through the good offices of our agents to many foreign shipyards in Holland , Germany , Denmark , France , Russia ,Slovakia, Turkey, Canada, USA, Norway, Lithuania, Estonia, Latvia and Belgium.